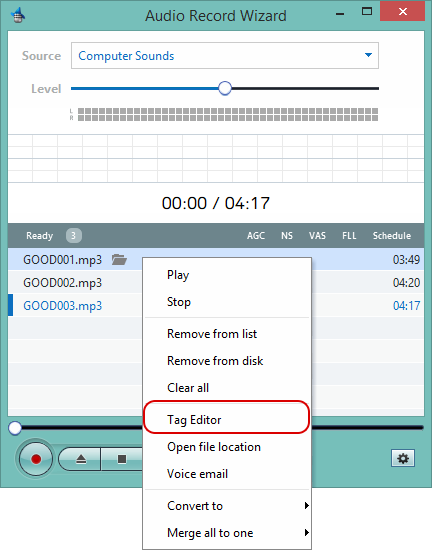 After recording, right click the file within recording list. Then, click 'Tag Editor'. 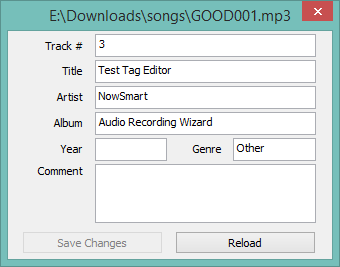 Edit everything you want and click 'Save changes'.